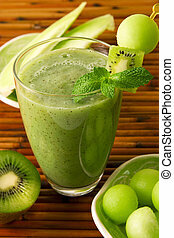 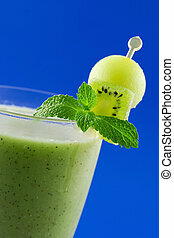 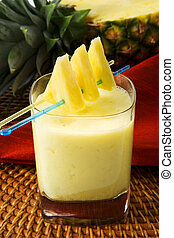 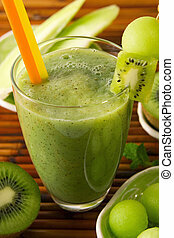 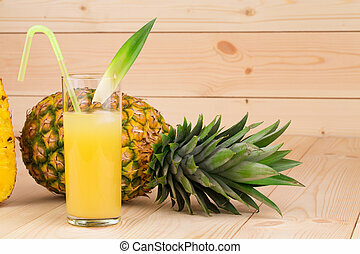 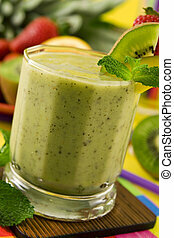 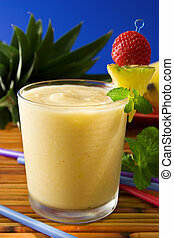 Tropical smoothie. 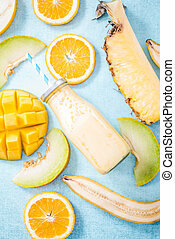 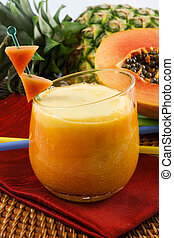 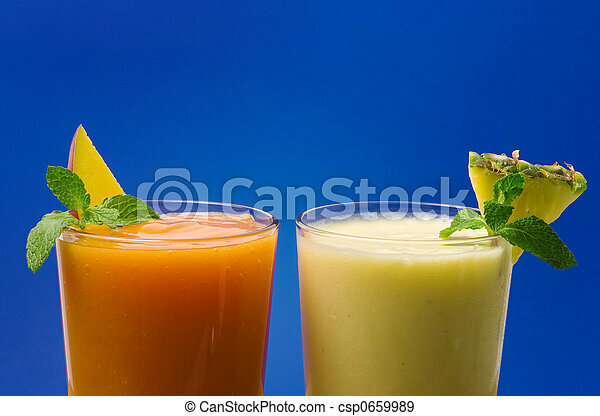 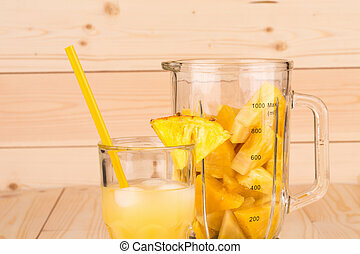 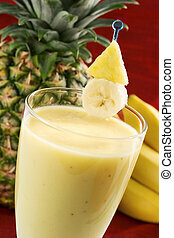 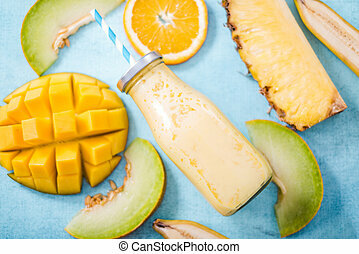 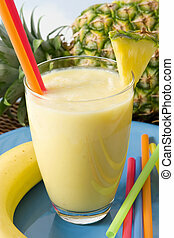 Mango papaya and pineapple banana smoothie against blue background. 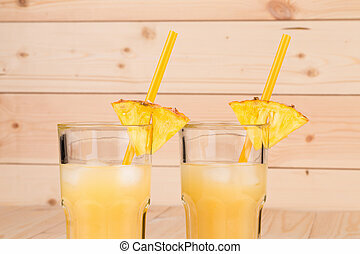 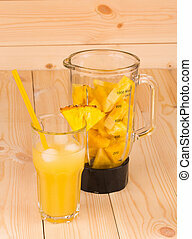 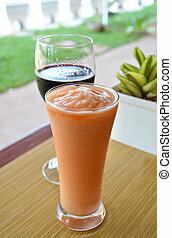 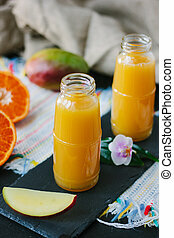 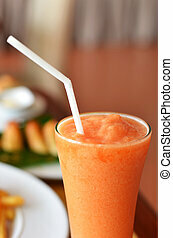 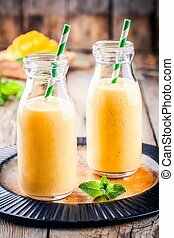 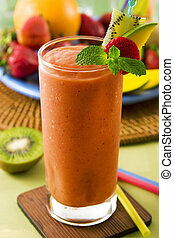 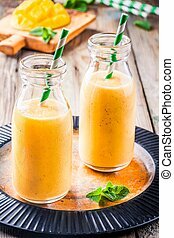 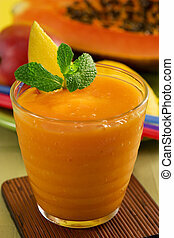 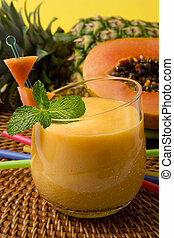 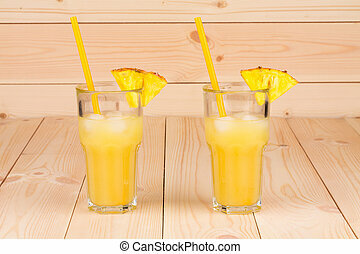 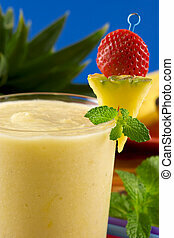 Nice tropical smoothie made from mango and orange. 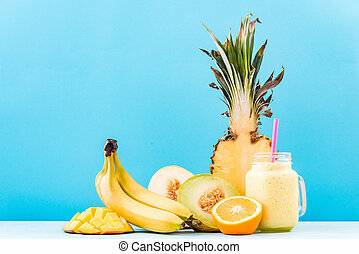 Ingredients for tropical smoothie, copy space. 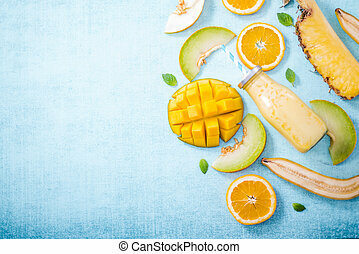 Tropical smoothie border background, flat lay. 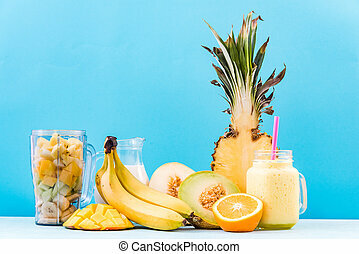 Flat lay tropical smoothie, diet concept.